Floral crafts such as hair bands, bags, home décor, rare herbs and medicines, essential botanical oils, and spa ingredients, in addition to artificial flowers and plants can be found at the fair. Thai floral art illuminating the atmosphere. 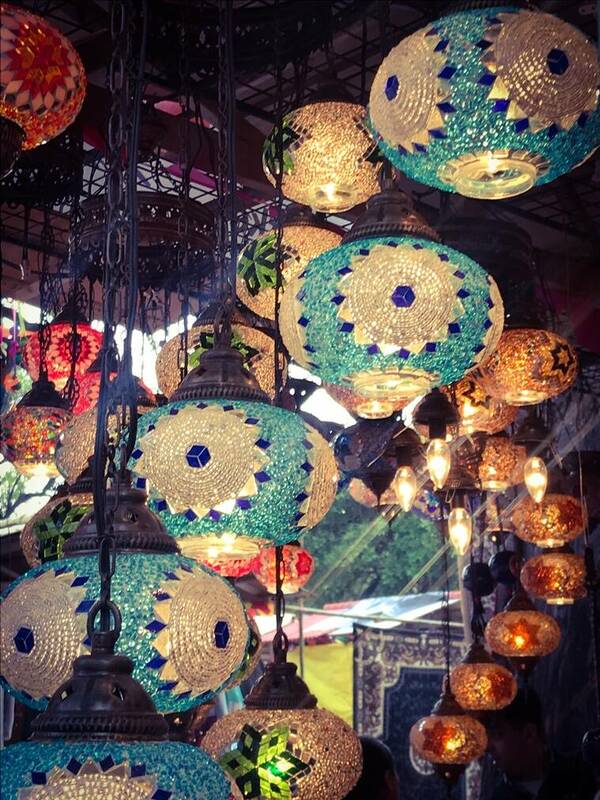 Exquisite lamps from Turkey brightening up the skies, evocative of the hot air balloons from Cappadocia. A riot of colours, with a touch of ethnic, and indigenous décor from across the world laced with aroma of cuisines and traditional tunes from the hinterlands. The 33rd Surajkund International Crafts Mela (on till February 17th) offers a mix of such cultural delights, and an alternative marketing platform to artists from across the country and the world. Touted to be one of the largest cultural extravaganzas hosted by the Government of Haryana, the craft fair this year is hosting over twenty different countries. The partner nation at the fair is Thailand with a dedicated pavilion exhibiting Thai craft, art, silks, herbal products, traditional clothing, and other souvenirs from the country. All over the world Thai culture, food, the country’s hospitality, and tourism have played an imperative role toward cultural exchanges. Thailand and India celebrate this aspect through Buddhism, festivals such as ‘Namaste Thailand’ commemorated in 2018, languages like Sanskrit and Pali, and Thai mural paintings influenced by Buddhism, and stories from the Ramayana. Such international marketing concepts are essential tools for strengthening soft diplomatic ties and cultural relations between countries via a citizen-centric approach augmenting rural and urban livelihoods. The government of India’s Act East policy has given a further boost to mutual exchanges between South East Asian countries and India. Celebrating multiple geographical identities like Madhubani from Bihar; Terracotta from Rajasthan; Bidri from Karnataka; Kalamkari from Andhra Pradesh – artists from Thailand, Netherlands, Indonesia, Bangladesh, Nepal, Ghana, Turkey, Niger, and several other countries from across the world coexist at the fair, exhibiting a potpourri of multicultural specialties under one roof. Locally known as ‘Dhaan’ crafts, the process of making paddy jewellery is complex and requires delicate handiwork. Putul Das Mitra (41) has been weaving delicate paddy jewellery since 2000. 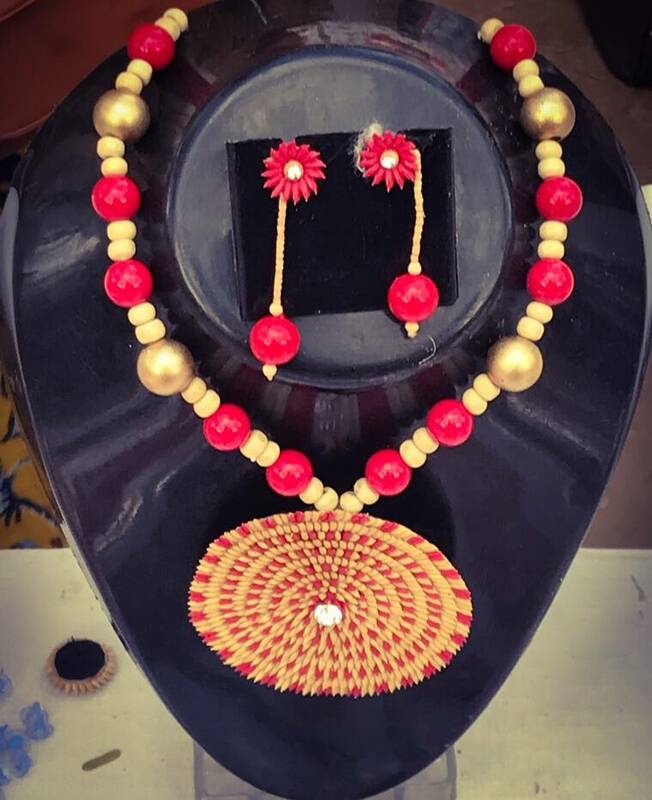 A national award winner, she along with other women practice making paddy jewellery which uses an excellent balance between professional finesse and traditional natural wealth. Paddy, which is rice with husk, is first treated with Araldite gum. After that, the grains are beautifully sewn in symmetric patterns. A melange of artificial beads, studs, nylon threads, acrylic colours, and other décor is used to weave lightweight earrings, necklaces, tops, and other items. 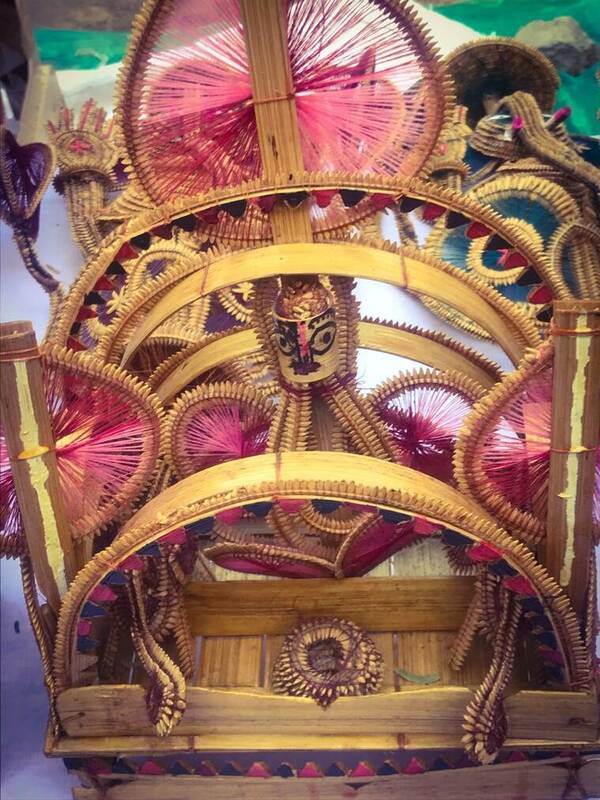 Locally known as ‘Dhaan’ crafts, the process is complex and requires delicate handiwork. Paddy crafts should be encouraged in other prosperous parts of the country to promote cultural capital while preserving indigenous skills for posterity. Upasi Bhuye 50 has been practicing paddy idol crafts for ten years. She along with women from her village weave beautiful figures of gods and goddesses, and miniature arts woven out of paddy straw, rice, colourful threads, and bamboo. A small idol takes anywhere between 2-3 days to finish. Priced at Rs 350, these eco-friendly crafts derive heavily from nature and add to natural vibrancy. Waste marble dust from businesses is collected and pasted on wooden plaques using strong adhesives, such as the ‘babool’ (acacia) gum. Nisha (37) has been practicing a rather rare art form, which translates marble dust into spectacular paintings. The waste marble dust from businesses is collected and pasted on wooden plaques using strong adhesives, such as the ‘babool’ (acacia) gum. After that, metallic colours and oil paints are mixed with the dust to give these paints a sandy texture. 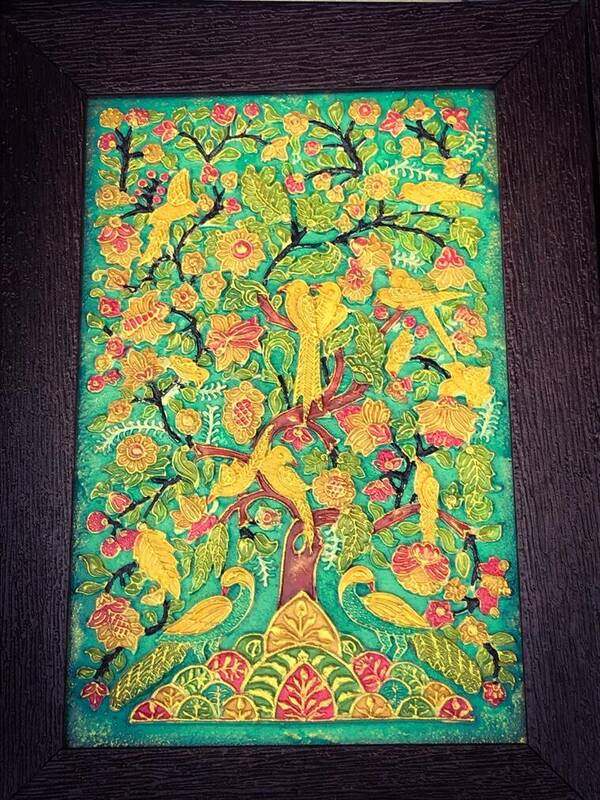 A combination is then used to make floral motifs, birds, leaves, trees, and different patterns derived from nature. 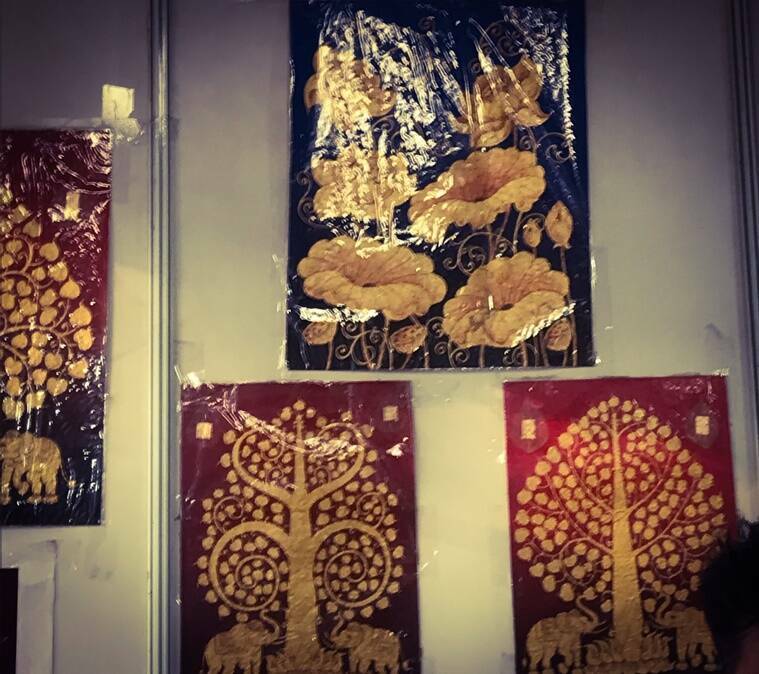 Nisha, with her husband, has been practicing this art for ten years and sells these dust embossed paintings between Rs 1,500 to Rs 3 lakh to an urban audience, including hotels and businesses. A word of caution, however, is to use dust masks to keep respiratory side effects at bay. Additionally, variants of this art form, skill development in marble dust paintings can be introduced in rural areas, with adequate assistance. One of the star attractions at Surajkund is the Thai silk art, and various souvenirs made of Thai silk. Famous for Thai queen silk, which is 100 percent pure, the country is also renowned for different versions of Thai silk. One of the star attractions at Surajkund is the Thai silk art, and various souvenirs made of Thai silk. Sericulture is practiced widely in the country, and Thai mulberry silk paintings and souvenirs such as scarves, bags are very popular. However, synthetic silk and poor imitations are widespread, posing a grave threat to natural silks and traditional silk weaving. A narrative dominating the fair is the usage of floral décor and crafts. 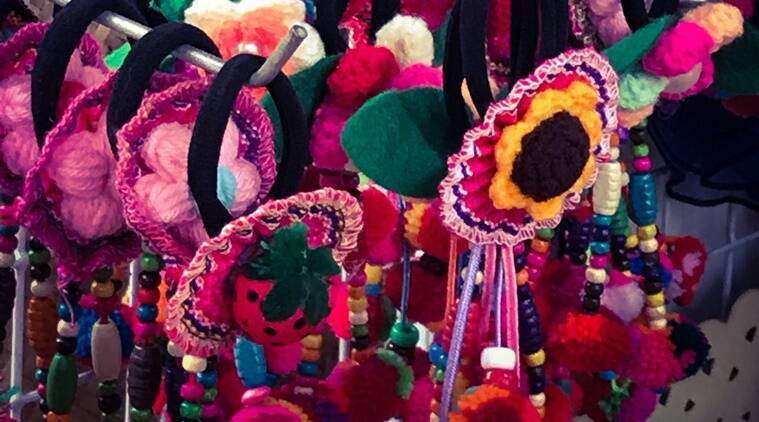 From beautiful flower wall hangings, paper floral décor to synthetic silk and paper flowers – the overall floral vibe from Thailand is in full bloom at Surajkund. Floral craft such as hair bands, bags, home décor, rare herbs and medicines, essential botanical oils, and spa ingredients, in addition to artificial flowers and plants – the fair is replete with Thai floral radiance, epitomising the floral abundance in the country. For flower enthusiasts, in particular, this corner at the fair is a paradise, albeit, there is a conspicuous absence of natural floral décor, mainly owing to maintenance issues. Patches of marigold décor however, fill in the gap. Artisans take out the xylem from the grass to make it sturdier. Different designs and patterns of paintings are carved on wood; after which straws are pasted using adhesive. Even though Sikki grass crafts from central Indian plains are common, particularly famous for hand-woven baskets, and the local ‘jhaddos’, paintings made of this grass are gaining popularity. 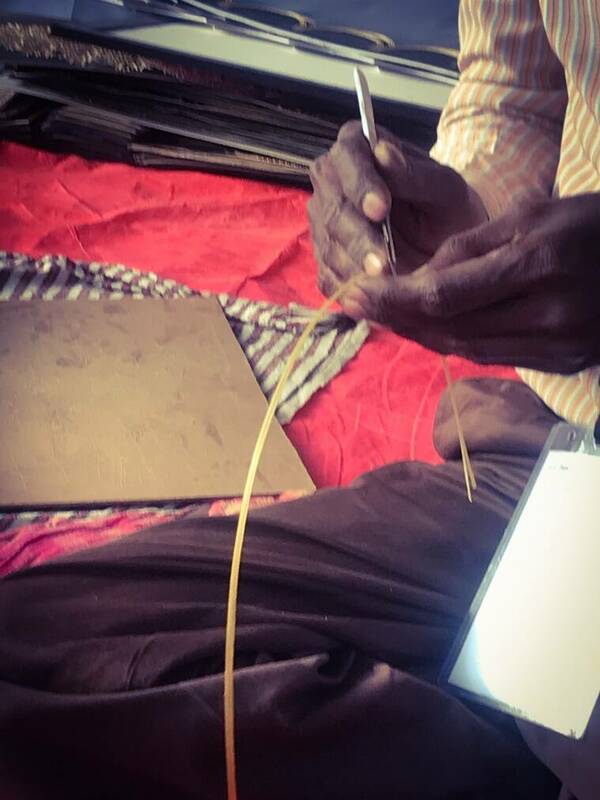 Yashwant Kumar (36) along with his brother participated for the first time at the fair this year, showcasing delicate work of ‘Sikki’ paintings woven out of grass threads. Artisans take out the xylem from the grass to make it sturdier. 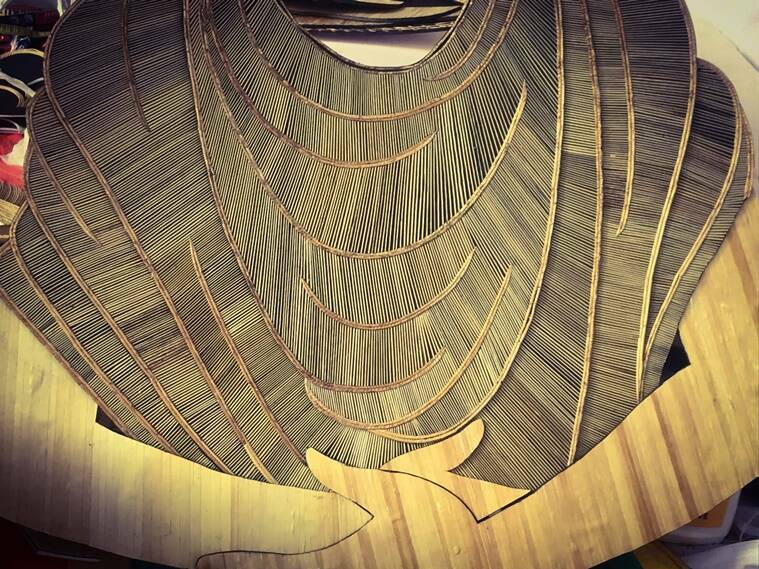 Different designs and patterns of paintings are carved on wood after which straws are pasted using adhesive. The work requires gentle handiwork and concentration. Honoured by the state government, Kumar has been practicing the art form for ten years – earning between Rs 25,000 to Rs 30,000 per month. An artist removing the xylem from Sikki grass. In addition to showcasing indigenous talents from the country, the festival also hosts products made by prisoners in Haryana, every year. Branded under the aegis of Haryana Jail Department, the stall exhibits wooden handicrafts, furniture, and other items made by prisoners, which is an important and inclusive initiative towards creating market linkages and bringing their talents to the fore. The fair can contribute toward principles of decentralisation, if a large number of tribal artists, women, and youth practicing rare art forms are invited on a large scale. Similarly, capacity building workshops on financial literacy, soft skills, branding, packaging, and marketing should run parallelly at the fair to benefit artisans, especially women with skills they can hone over time.